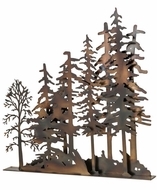 Our affordable selection is truly astounding. 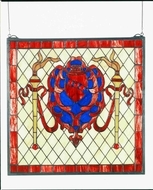 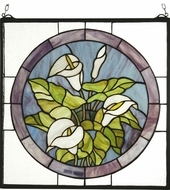 Celtic, Art Deco, Art Nouveau and medical are just a few of the styles in our collection of stained glass wall art. 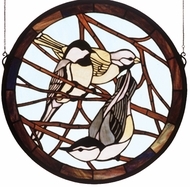 We also have stained glass art with a flora and fauna theme for those who want a more traditional look for the windows in their homes. 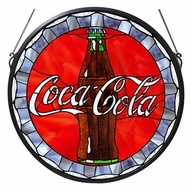 Individuals looking for something that reflects a beloved interest will find stained glass window art featuring sports themes. 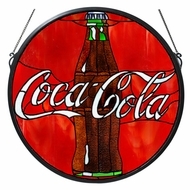 We even have several pieces available that sing the praises of Coca Cola�. 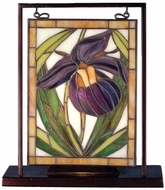 These are timeless treasures that are now available for purchase online. 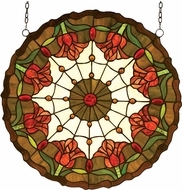 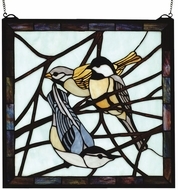 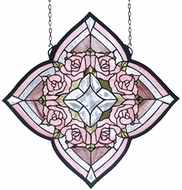 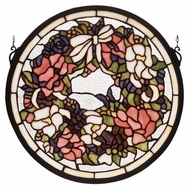 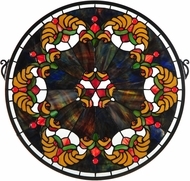 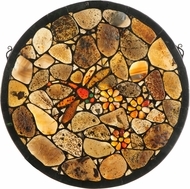 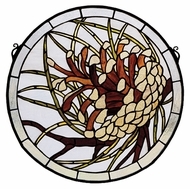 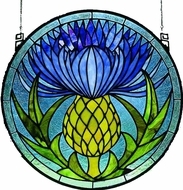 There are numerous design options in our selection of hanging stained glass art. 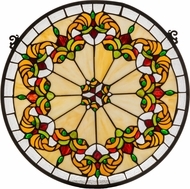 We have pieces in both vertical and horizontal designs. 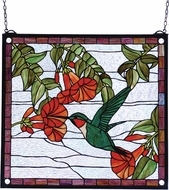 These along with our beveled stained glass wall art look especially appealing against a bay window in a home. 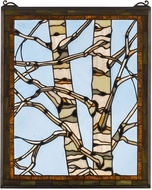 Choose any lovely window and enjoy the natural light as it filters its way through your stained glass art. 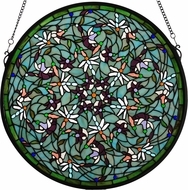 You can also set up a spot fixture to highlight various colorful areas within the image. 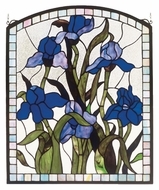 Select a piece of window art with a flora theme and hang it in the bedroom window so you can admire its blues and greens every time you pass through the room. 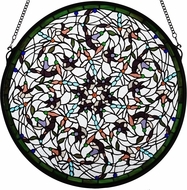 Or, choose a piece of our window art with an aquatic theme full of circular shapes to serve as the perfect finishing touch in your guest bathroom. 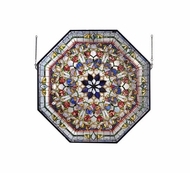 Guests and family members alike will admire this element of stylish flair in the d�cor of your powder room. 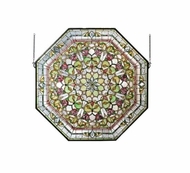 Our glass panels are ideal for nurseries, master bedrooms, living rooms or in a single window on the landing of a staircase. 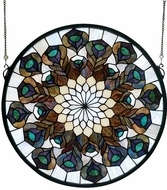 Anywhere light pours into your home is an ideal spot for a unique piece of our window art. 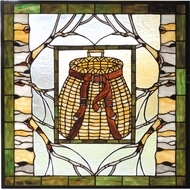 Created by Meyda Tiffany, these quality works of window art will inspire you and add a touch of magic to your home's decor. 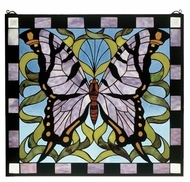 Buy your Tiffany creation from us and save on an item you will enjoy in your home for years to come. 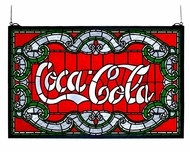 And don't forget to take advantage of our fast shipping.